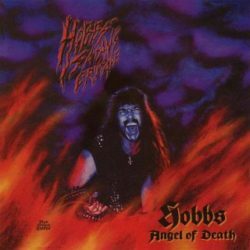 Contains the band’s classic demos ‘Hobbs Angel Of Death’ (1987) and ‘Virgin Metal Invasion From Down Under’ (1988). Of the eleven tracks, eight made it onto the celebrated self-titled debut album from 1988, whereas ‘Liar’, ‘Chainsaw Massacre’, and ‘Satanic Overture’ were first released on the original CD version in 2003. It may not be an original full-length album, but it still is an essential for both collectors and fans of Aussie thrash metal.